Shoebills appear in wall paintings and hieroglyphics (high-ruh-GLIH-fix), symbol writing, used in ancient Egypt. 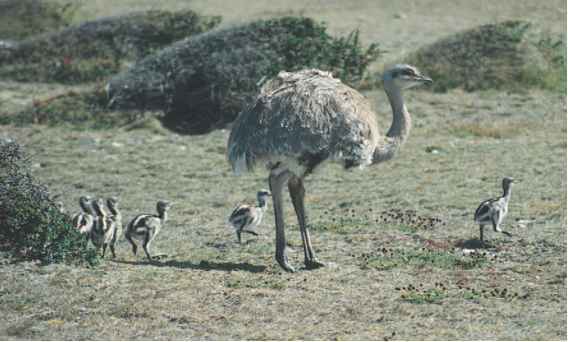 People told scary stories about shoebills, and the birds were protected because people were afraid to kill them. 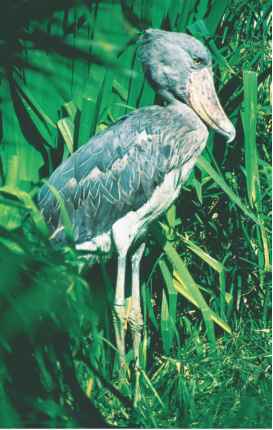 There is even a myth that people who are fishing will have bad luck if they see a shoebill or mention its name. their habitat, wetlands are drained so people can build on them, and their nesting swamps are sometimes burned to make it easier for people to fish and hunt there. Some people catch the birds and sell them to zoos, and others hunt them for food.